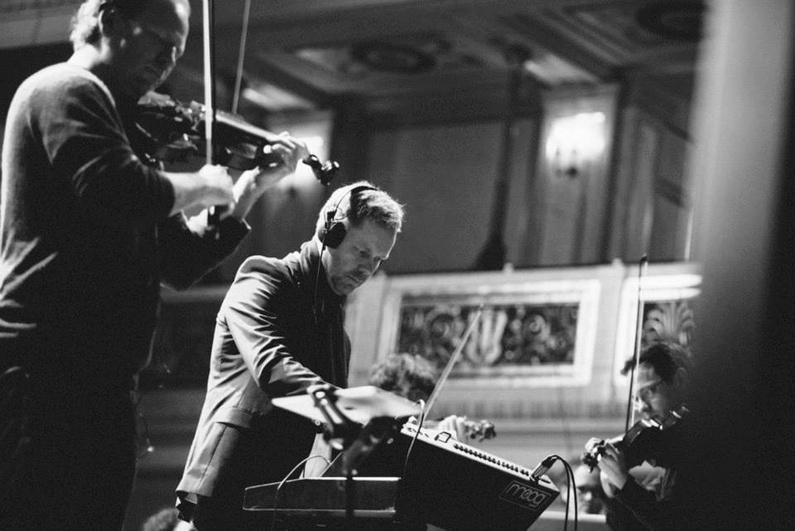 German-born Max Richter is a chameleon of post-minimal classic and electro music, and one of the most influential contemporary British composers. His work includes a re-interpretation of Vivaldi’s Four Seasons; soundtracks for Martin Scorsese and Black Mirror; a reading of Kafka with Tilda Swinton and an eight-hour sleeping aid. In his current project he revisits three novels of Virginia Woolf. cafébabel: Max Richter, how would you explain what you do to a kid? Max Richter: I think of songs and write them down. cafébabel: You’ve just released your newest album Three Worlds: Music from Virginia Woolf Works: Why should people in their twenties read Virginia Woolf? 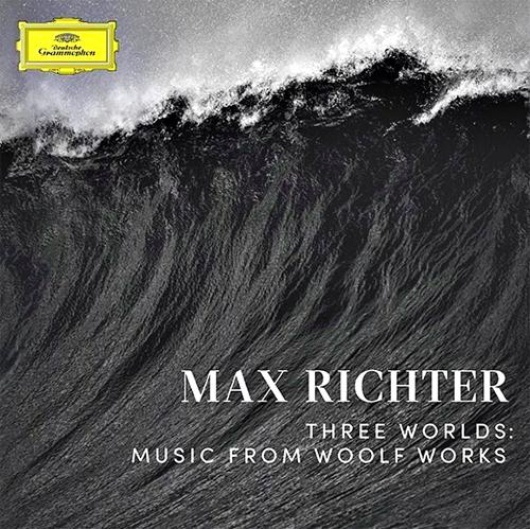 Max Richter: Virgina Woolf comes out of this early Modernist movement with new forms and languages. She's a visionary writer who invents worlds and new ways of seeing them. It’s always very inspiring to encounter work of that sort - to be shaken up and have your viewpoints challenged, and have this compelling alternative reality presented to you. cafébabel: But how has your vision evolved since you first read her? Max Richter: Well, I think one of the pleasures of literature really is that it holds an unchanging mirror, you know? When you first read a book, you have a certain view and memory, a certain relationship to it. And then revisiting it years later as I did when I wrote the ballet and the record, it seems different from how we remember it. But in fact the book is not different. And that’s a very interesting experience. cafébabel: You’ve said that the composition of your eight-hour long 'sleeping song' back in 2015 was easier than the work on the three Woolf novels (Mrs. Dalloway, Orlando, and The Waves)? Max Richter: In a way it was, yes. I’ve slightly cheated with Sleep, because I’ve been working on it for about 20 years. The work was very spread out. Obviously working on a ballet - the original is over two hours, the record is only an hour - is a very complex piece: it’s orchestral, it’s electronic, there’s instrumental work, vocals, all kinds of digital stuff.It’s a monster to make it all fit together properly. cafébabel: Could you concretely tell us how you get from written word to sound? Max Richter: I could talk about the opening music from the Orlando section - it’s called 'Modular Astronomy.' Now, Orlando is a novel of transformation. It’s a lengthy biography where a character lives over 400 years, goes through all kinds of picaresque adventures, including transitioning from one gender to another. And it’s a very playful work, almost a sci-fi novel in a way. So this image of transformation is my jumping off point for the music for Orlando. I took this well-known theme 'La Folía' - a Spanish tune from the sixteenth century - and used this historical object rather than the character in the novel. I took the harmonic language of this sixteenth-century material, put it into some analog sequencing equipment and made patterns with the sequences. I then extracted those patterns and made a score from those patterns which the orchestra played. Then I recorded that and processed it digitally - and this is the recording we have now. The material of 'La Folía' has been sort of transfigured by all these processes, also historical processes, to sort of mirror the transfiguration of Orlando. cafébabel: You have worked with literature (Woolf, Kafka), classical music (Vivaldi’s Four Seasons) and film/ TV series (Scorsese, Black Mirror) - how does the composing process change with the genre? Max Richter: They are completely different things. Obviously in the case of a cinema or TV project music is only a part of the story, it cannot occupy the whole space. It has to interact with other elements and support them, offer some musical input to a hybrid work. The same in the case of ballet, which is a hybrid language - of movement, of light, of time, all of those things come together. In the case of a concert piece or a CD project the music is the whole thing. cafébabel: Kafka wrote in German, Woolf wrote in English: What role does language play in the sensorial and emotional experience you have with a text? Max Richter: I read Kafka in English as a kid as well, it must have been roughly about the same time I read Woolf. Language is very important to me, I read all the time. It’s an essential activity aside from composing. Music is a language really, simultaneously very vague and very precise. In terms of my own relationship to language, I have a relatively rudimentary German, but the language I mostly use is English. I was educated in the UK and to some extent my musical culture comes from the UK, even though I studied in Italy with [Luciano] Berio, and obviously classical music is centered on German musical culture. cafébabel: You’ve studied in Edinburgh, London and Italy: what influence does being on the road have on your compositions? Max Richter: I don’t know. I don’t have an alternative biography to compare it to. It’s hard to say. I guess I have something like a genuinely European outlook and I don’t think that Berlin or Edinburgh or London had this sort of local influence. Because music isn’t really like that. It's something which takes place inside your head, it’s not like for painters or photographers who need a particular environment. In a way music goes beyond boundaries. One of the magical things about music is that it can transcend language barriers. It allows people to speak to one another who couldn’t understand one another in spoken language. That is something very inspiring. From my point of view I feel basically European. I’ve lived in Berlin for the last eight years. Now I live in the UK, I’ve lived in Italy, I’ve lived all over the place. For me Europe is where I live. cafébabel: And do you enjoy the Europe you live in? Max Richter: When I say European, I really mean sort of a cultural orientation to do with literature and art and music. People often ask me about these sorts of things and if I’m pro-civilisation. And I reply that I think civilisation is a good idea. And Europe in some way offers a wonderful example of what can happen when civilisation is allowed to develop. We have a continent that historically was always at war, and which has now been at peace for more than 60 years, and that’s a miracle and something to be celebrated. cafébabel: And do you see this civilisation in danger today? Max Richter: Yes (laughs). I mean, we have the kind of black comedy that is Brexit. I can hardly even talk about it. I’m so upset. And of course many other challenges which have partly to do with the transforming effects of technology, the labour market and economy. There are tremendous imbalances with wealth distribution within Europe, also between Europe and the rest of the world. We have enormous challenges ahead. We can only hope for creative and thoughtful people to provide and propose effective ways forward. cafébabel: Shutter Island, Waltz with Bashir, When We Leave: your film projects seem rather politically motivated. Do you want to provoke political change with your works? Max Richter: Yes. I mean, in a way. The starting point for The Blue Notebooks for example was the build-up to the Iraq War. That is always been a jumping-off point for me. We live in a society of human beings, and it’s quite natural that we should want to engage in conversation. cafébabel: How do you pick your projects? Max Richter: It’s a mixture. People are asking me to do things, which is a very fortunate and privileged position to be in. And some other time I have projects of my own, I’ve been working on during years. Like Sleep; I started to think about it in the 1990s, and finally I sort of managed to make it happen. cafébabel: Are there venues you still dream of playing? Max Richter: I guess so. I’ve been lucky; I’ve played in lots of wonderful places. As a child I remember seeing the Sydney Opera House on TV – and 40 years later I’m playing a concert there. That’s a wonderful experience, there’s something really magical about this. That’s sort of a dreamland. Travelling inspires me, because you never quite know what’s around the corner. I’m always hoping to be surprised. cafébabel: Why do you keep composing on paper? Max Richter: I mostly write on paper because I enjoy the experience of imagining something. And if you write on paper you imagine music before you hear it. When you work with a computer it’s a little bit like being in the audience. You make something, you press play, and you listen. cafébabel: Max Richter, what is your advice for young composers? Max Richter: The key thing to try and figure out is what it is that you’ve got, you can do or you felt like which is unique. Everybody is unique – we’ve got our technical toolkit, our imagination and our biography! 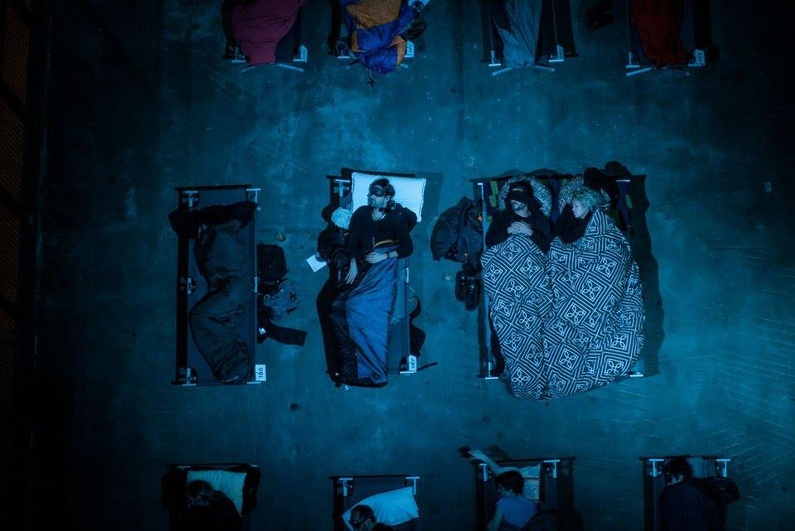 Max will be performing the overnight version of SLEEP on the 6 May 2017 with the Barbican Centre at Old Billingsgate in London, and then on 15 July 2017 in the main hall of the Concertgebouw in Amsterdam.